Before completing his move, Jan Kirchhoff said he had "several options"
Sunderland have signed Bayern Munich central defender Jan Kirchhoff. The 25-year-old German, who has Champions League experience, has signed an 18-month contract and joins for an undisclosed fee. "Jan has real versatility, being comfortable in both the centre-back and midfield roles," said Blacks Cats manager Sam Allardyce. 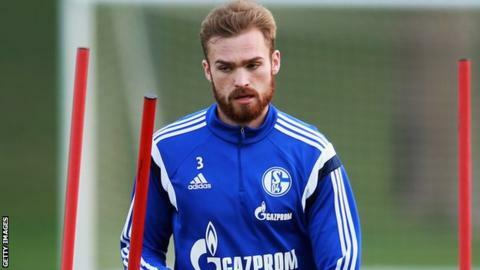 Kirchhoff, who is 6ft 5in, started his career at Mainz before joining Bayern on a free transfer in 2013. The former Germany Under-21 international has since had spells at Bundesliga and Champions League outfit Schalke. Sunderland are 19th in the Premier League, four points from safety, and travel to Arsenal in the third round of the FA Cup on Saturday.